The single of 'Come on Baby Light my Fire' by The Doors. Bought a ticket to go to Dimensions Festival in Croatia. So worth it. When I was a little tot I watched The Brave Little Toaster – a story about five household items (toaster, blanket, lamp, vacuum and a radio) who, after being abandoned, go on a long quest to search for their original owner. IT'S SO DAMN SWEET. ‘It wasn't me’ – *looks over to empty box of chocolates*. Bizarrely I was let into The 40-Year-Old Virgin when I was about 12 with this guy for our first date. It was very uncomfortable to sit through – lots of awkward shuffling and avoiding eye contact. Cinema date = not a good date in my opinion. At work for an emotional scene – I was a mess. Surround myself with close friends, good food, films and music. I've been working a lot at the moment so haven't been able to cook anything in ages – I miss it dearly. Last thing I cooked was probably a chickpea curry. When I was 12 it was a guy in the year above me at school in France. I would casually 'turn up' at the skate park when I knew he'd be there. Eventually I got up the courage to tell him I liked him – his response was that he was into 'older women'. Hah. The Little Friend – Donna Tartt. Ummm … physically bumped into Kate Moss once!? Make everyone give out at least three compliments a day, make all education free and create some ‘kitten cafés’ – where people can go pet kittens over a creamy espresso. Mmmmm. I would have one last Khushi Punjabi takeaway – it's an Indian restaurant on Broughton Street in Edinburgh that our family have been going to ever since I can remember. Luther – ‘Never Too Much’. Never. Ever. Even the thought of doing that makes me cringe. Never really thought about it that way. I do a job that I love. Some people watch what I do and if they enjoy it – fantastic! Surely someone drunk shouted 'Skins is s***' at me - ah well it's not everyone's cup of tea! Ehhh … 'passionate', 'perky' (one friend asked me to put that down) and probably 'curious'. Something off eBay – I always seem to make awful buys off eBay. The Cribs with my brother. My friend came to visit me in Paris so I met her off the train with flowers and a croissant. My lucky lobster – no it's not a real lobster, don't worry! The first episode of Castings out on Canal+ (you can find it online) – it's a comedy sketch show I did with some brilliant french comedians. I hadn't seen anything up till now – it's hilarious! Ben UFO – the most wondrous DJ about. If I tell you I'd have to kill you. Jo Stafford – ‘No Other Love’. Faces – ‘Ohh La La’. Avoid anything sung by the likes of Pitbull like the plague. Mmmmm what'll I have for breakfast? Mmmmmm what'll I have for breakfast? 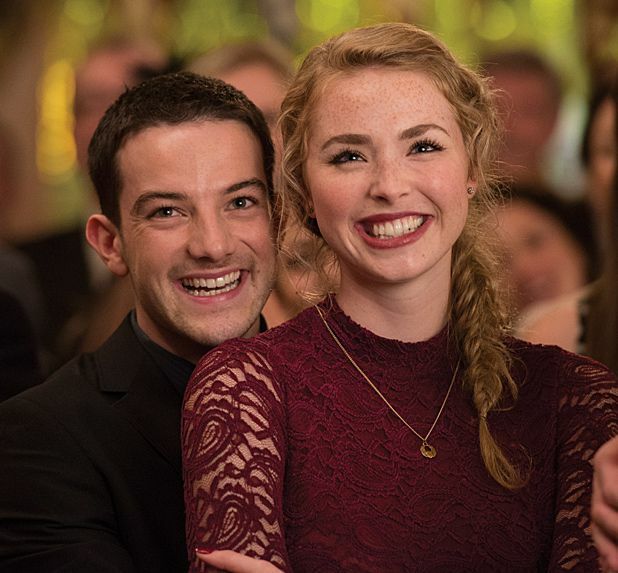 Freya stars in Sunshine on Leith, which is out on Fri 4 Oct. Adaptation of Irvine Welsh's novel about a bigoted junkie cop who battles his way in an attempt to win back his wife and daughter. For his second feature, Fletcher directs this adaptation of the popular stage musical based on the songs of The Proclaimers. Two soldiers return from Afghanistan to Edinburgh and struggle to adapt to civilian life.